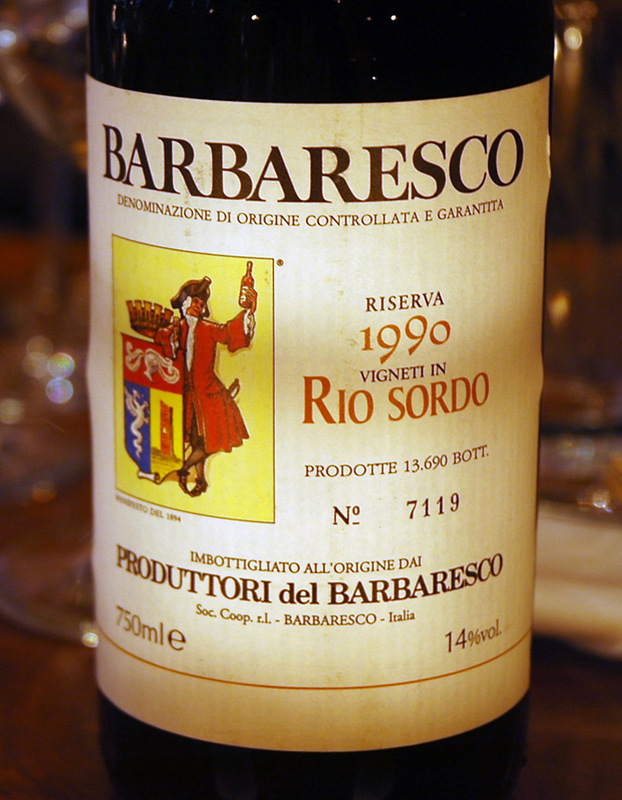 Produttori del Barbaresco: What every Nebbiolo lover should know. 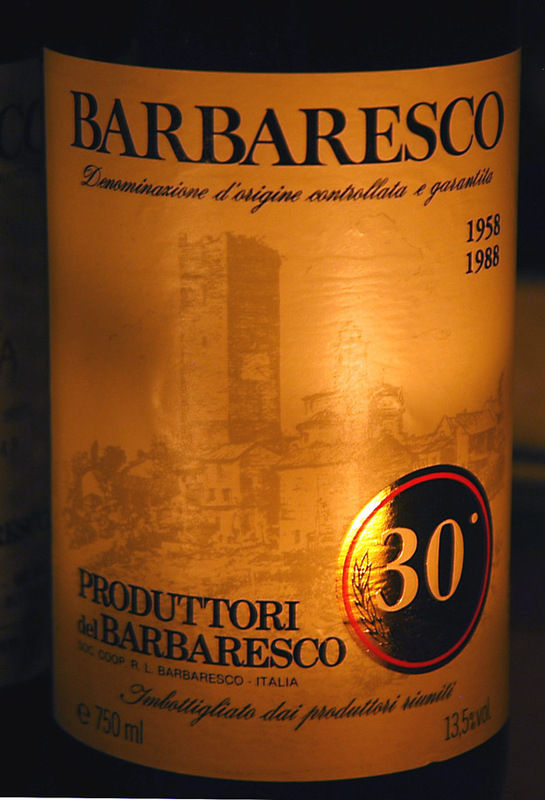 The Produttori del Barbaresco is, without a doubt, the largest producer of quality-to-price ratio wines in Piedmont. 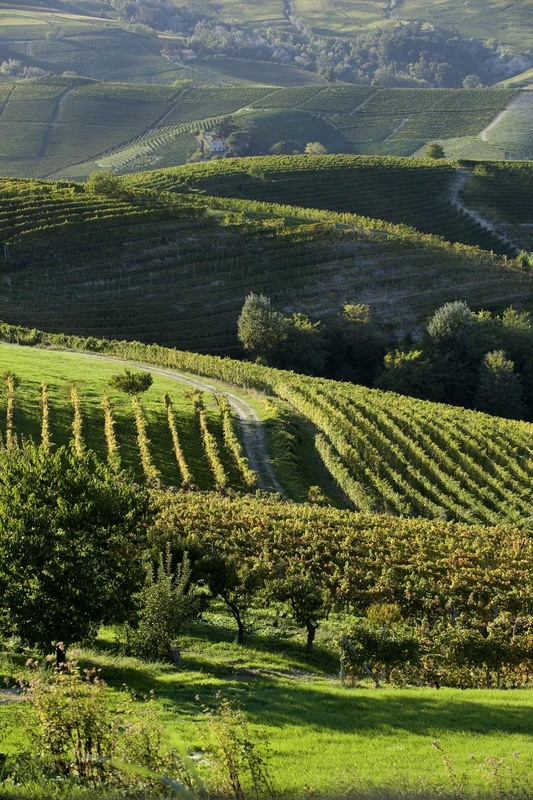 With access to nine highly esteemed vineyards and a grower’s cooperative that is focused on quality wine production, the Produttori is able to provide a portfolio of Nebbiolo-based wines that can satisfy any palate and fit into any budget. 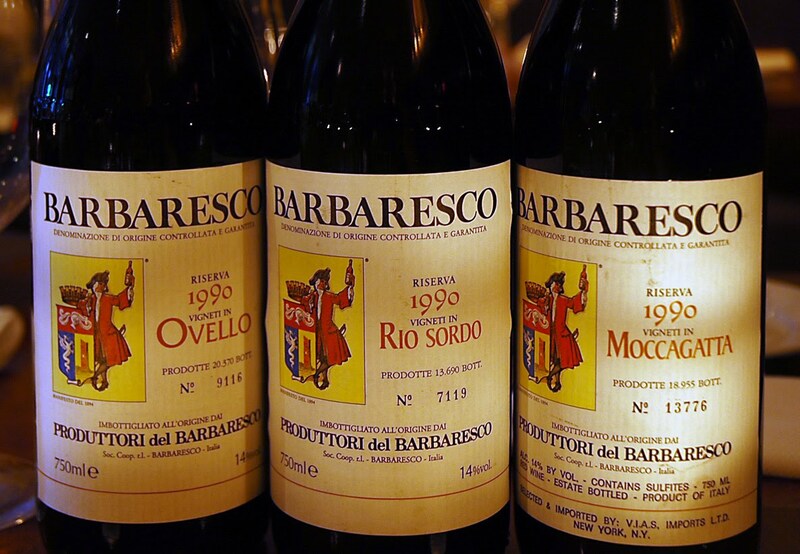 The declassified Nebbiolo ($15 - $17) is one of the best in the region for the price and the Barbaresco normale ($25 - $35) can stand tall against its higher-priced competition in most vintages. 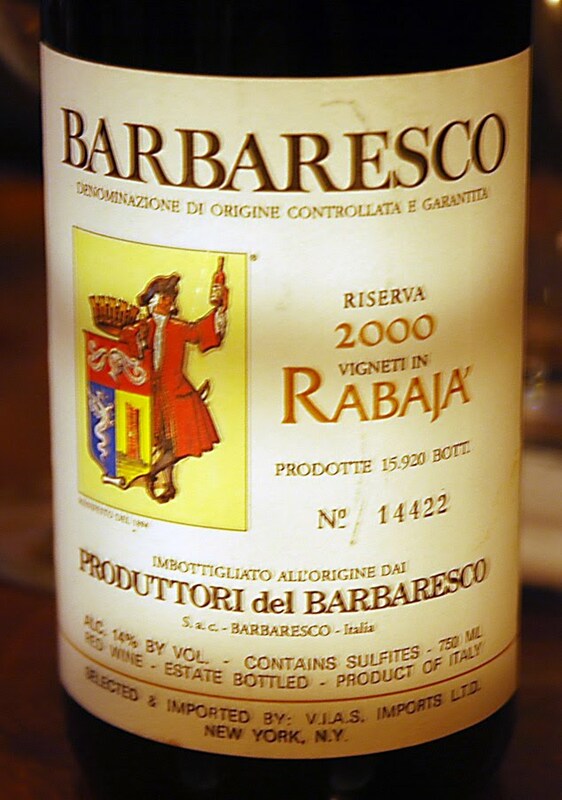 For the serious nebbiolofile, the single cru riservas ($40 - $50) are all beautifully unique examples of Barbaresco and capable of aging for decades. 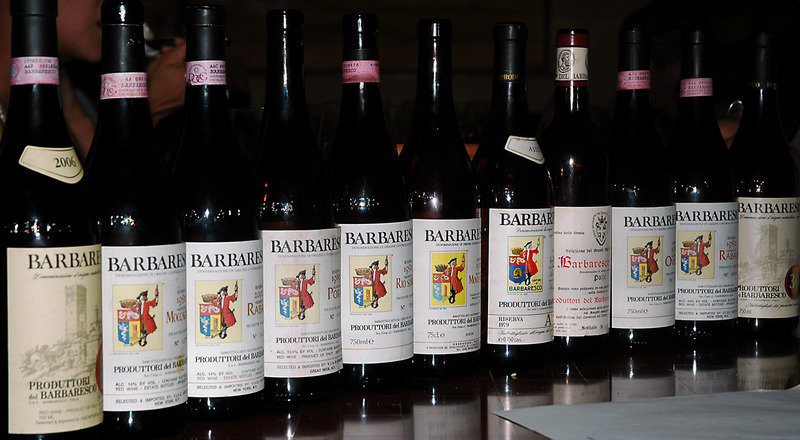 Our tasting group convened at Braeburn Restaurant in the west village to taste through 11 bottles spanning eight vintages of Produttori del Barbaresco. 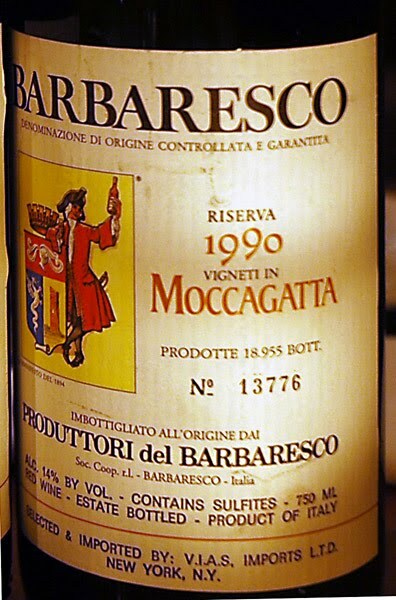 Initially the idea was for bottles from 1990 or older, but after hearing high praise for the recently released 2006 Barbaresco, it was decided to include a bottle for an early peak into its evolution. I will say early on that I’m glad we did because the 2006 was spectacular. Flight 1 – Old bones, yet beautifully alive. The 1967 will be a wine I’ll remember for a long time. Flight 2 – The mature vintages – The 1982 showed what perfectly cellared Barbaresco can become with age. Flight 3 – The structured vintage – I’ll admit that I expected more form this wine, but I suppose that’s the problem with preconceived notions. It’s possible that it couldn’t live up to the hype I had expected on this night; it may bloom in a few years, but only time will time. Flight 4 – “It was hard to not make good Nebbiolo in 1990” were the words from one taster’ lips. 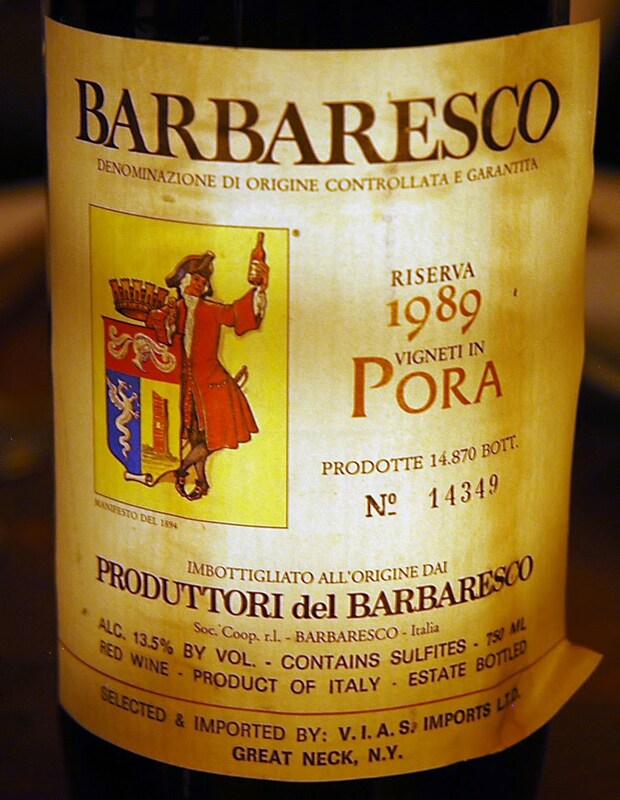 1990 is showing to be a truly great year for Produttori del Barbaresco. The last time I tasted through so many vintages, it was the ’85’s that truly stood out as the drinking vintage; but after last night, I’m willing to put the ’90’s high on my list of priorities. 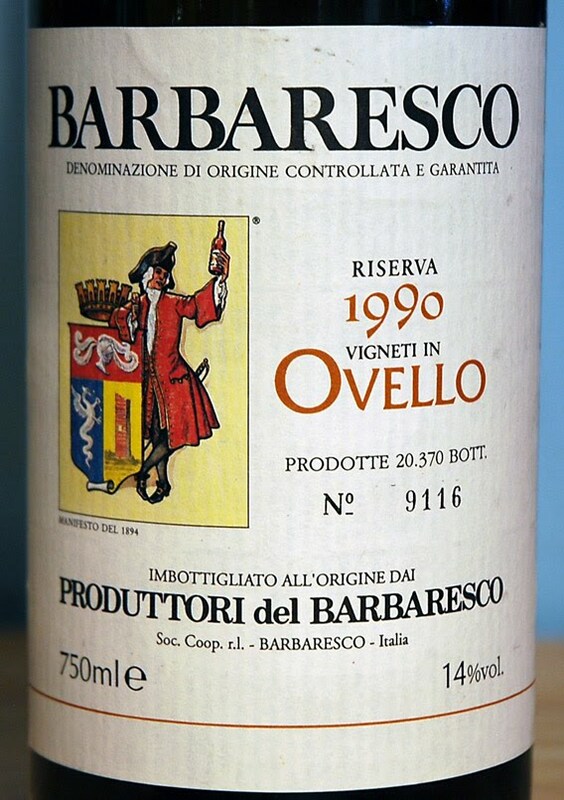 If you want high quality, mature Nebbiolo, 1990 is drinking very well. Flight 5 – High Praise – The 2000 vintage received such high acclaim from critics when the bottles first hit the market, but now we are watching as these wines battle with issues of balance. Unfortunately, I feel that the 2000 Rabaja is suffering the same fate. It is a big and, at times unruly wine that’s not completely unenjoyable but it’s certainly not my style. 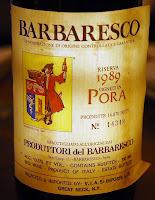 Find the 2006 Produttori del Barbaresco Normale on Wine-Searcher. 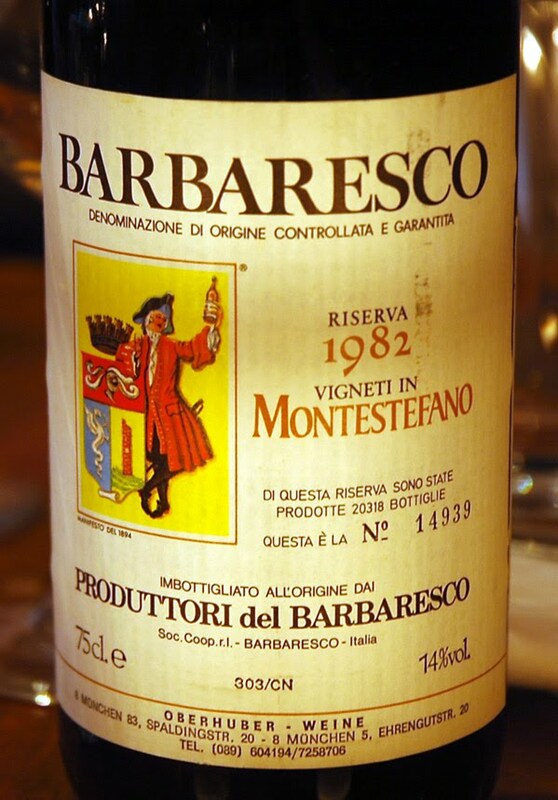 If nothing else, this tasting served to prove, once again I might add, that the Produttori del Barbaresco is a force to be reckoned with in Piedmont. Cooperative wineries are not usually held in such high esteem, but in this case, it’s the exact opposite. 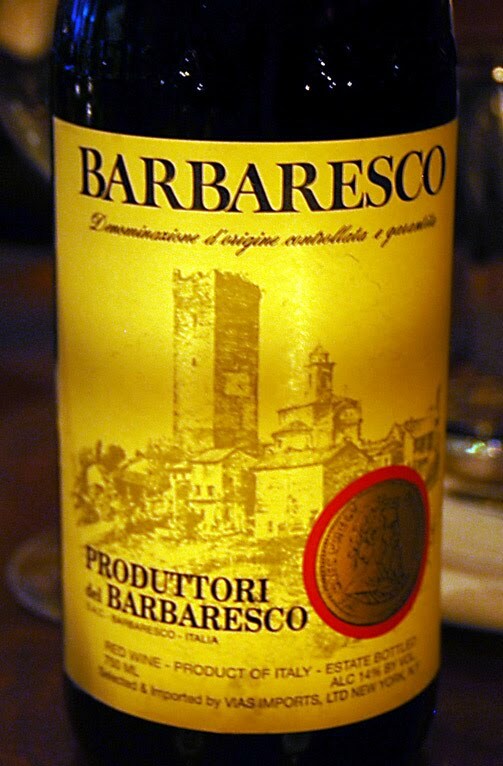 The Produttori delivers such fine examples of Barbaresco, and at such fair prices, that a lover of Nebbiolo would have to be a fool to pass them up. For now I must sign off… so that I can go buy some for my own cellar. I’m sitting with a cup of coffee on a lazy Sunday morning and trying to catch up with things as my busy summer season comes to an end. I’ve enjoyed some wonderful wines this summer with more to come in the next few weeks. I’ve included notes on a few I wanted to share with everyone today. Firstly, two weeks ago was the release of my most recent article on www.snooth.com, Bucatini all'Amatriciana. Where I ask the age-old question of “If it ain’t broke, why fix it?” This traditional Italian dish finds itself constantly downplayed in our society because of constant substitutions of its core ingredients and laziness during the preparation. In my most recent article, I show just how easy it is to make this stunning Italian classic that will blow you away. Your guests will never be able to eat this dish anywhere else, besides from your kitchen, after you show them just how delectable it can be. On to the wines; This has been a great summer for finding some moderately priced wines that deliver an amazing amount of pleasure. The three wines below are all fantastic and could easily stand tall against much more expensive bottles. They are all in the $30 - $45 range but would make for a great bottle to have at a special dinner. Opened four hours prior to dinner. The nose, at first, showed rich chocolate cover cherry, but upon a second sniff, the details began to come forward with crushed fall leaves, undergrowth and cinnamon. The palate was remarkably finessed and showing ripe cherries, dried cherries, tobacco and flower petals. As it flowed across the mid-palate, bitters and spice came forward, yet somehow a slightly sweet component shined through. The finish is long... long... long with cherries and christmas spice. Upon opening, an intense showing of cherry liquor with a sour bitter component but with time (2 hours) ripe plum came forward with soil, chalk dust and a bit of vanilla. The palate comes across as a bit sticky and sweet, at first, but rounds out into a velvety expression of raspberry fruit with cola and clove. The finish is long, soft and refined with red fruit. Trespass manages to walk that tight rope between richness and finesse, and they walk it so well. This bottles showed dark blue fruit and vanilla with chalk dust and a hint of heat on the nose. The palate is rich, soft... lush, yet finessed with dark cherry and allspice. The finish is long and shows sour red fruits. 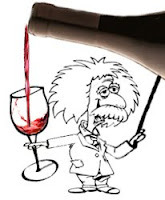 Lastly, a friend and fellow wine collector, Ken Vastola, has put together a new website, The Fine Wine Geek. 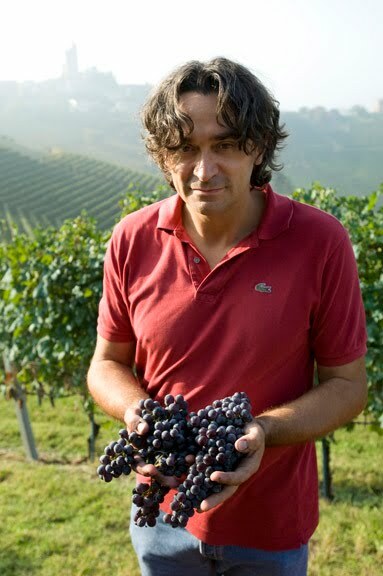 His new sight (really and old site with an update and new home) focuses on near encyclopedic data of producers such as Bruno Giacosa, Giacomo Conterno, Bartolo Mascarello and Sine Qua Non. 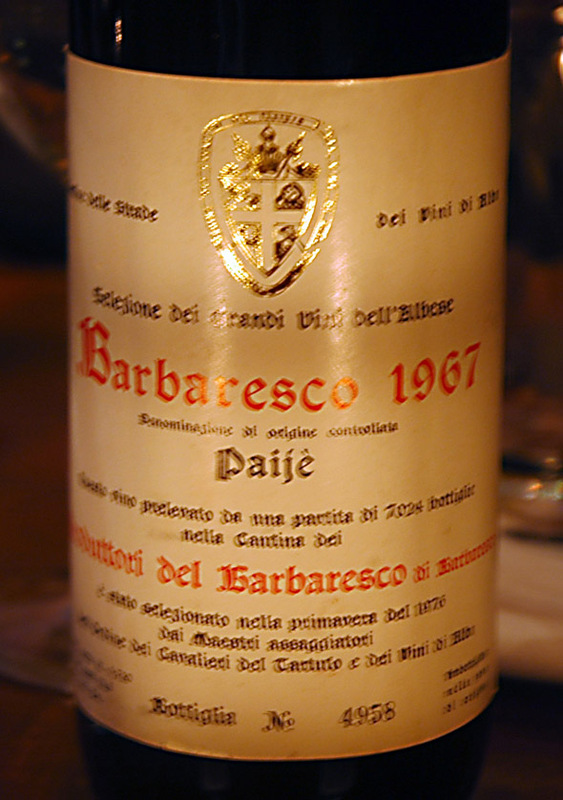 This is a must see website for Barolo collectors and one that I’m sure I’ll use for regular reference. My favorite part are the Bartolo Mascarello pages that show his hand drawn labels, which are near impossible to find. There's some really great stuff in the works for The V.I.P. Table in the coming weeks. Make sure to check back for weekly updates or set up a RSS Feed subscription. See you in another week. Whether it be romance, summer fun, or a lover of anything Victorian, Cape May has something for everyone, and what was once a sleepy Victorian summer retreat has now become a meca for good food and wine in south Jersey. It was about ten years ago that I was taken to Cape May for the first time. What truly made the biggest impression on me during that trip was the corkage policy at the majority of restaurants. Or should I say the lack of, or need for, corkage. You see, the majority of restaurants in Cape May allow you to bring your own wine, free of charge. This guarantees a large amount of value for anyone who’s serious about the wine they love. Why buy a $150 bottle off of a wine list when you could simply bring the same bottle having only paid $60 at retail? However, don’t let this deter you from checking out some of the wine lists around Cape May, as I found out on this trip, where one establishment especially had a list that made me smile ear to ear. Cape May simply has everything that I want from a vacation. Imagine if you will, you start your morning by waking up at your bed & breakfast or hotel. The breakfast is warming, prepared by your innkeeper. If you choose to make conversation with the other guests, it’s completely acceptable; however, if you’d like to keep to yourself, no one would mind. You have a cup of coffee on the front veranda as you make plans for your day. Throughout the early morning into the afternoon, you could find yourself on a jet ski, a whale watch, or just lying out on the beach soaking up the sun. The evening finds you at one of many fine restaurants or on a sunset cruise followed by a carriage ride through the historic streets. The night ends sitting on the veranda with a glass of wine in hand, the sounds of the surf and a gentle sea air. Words can’t describe the level of utter satisfaction I felt at the end of each day. I hope that my recommendations below will help you find Cape May as enjoyable as I did. What was once a gambling hall and bordello is now one of the premier bed & breakfasts in Cape May. The story goes that the rail-less veranda and high windows were designed to allow patrons to escape easily in case of a police raid. Well, this may have once been a bordello, but today it is the epitome of Victorian style. Entering through the front door, you are whisked away to another world where period-styled furniture, lighting and art adorn the massive hall and public rooms surrounding you. William Morris printed wallpaper, Victorian oddities and period instruments can be found throughout the house. The spacious guest rooms are just as ornate and extremely private. You become lost in this staged Victorian world, and you could almost convince yourself that the house and staff are yours to command. Being only one street away from the beach, you can hear the waves on a quiet night and indulge in the sea air wafting through the lace curtains. From the second floor landing, you can climb a ladder to a private perch at the top of the house, where you can watch the surf, curl up with a novel or observe the entire town. The surrounding gardens are perfectly manicured with a large assortment of flora. Benches, statues and winding paths lead you around this secret garden as you sip a cup of fresh morning coffee or enjoy an afternoon cup of tea. Breakfast is taken on their large veranda while you immerses in nature. Seriously, you could become lost enjoying the all the Mainstay has to offer. If it’s a relaxed atmosphere, good food and cold beer that you crave, then Lucky Bones is the place for you. Lucky Bones can be seen just as you cross the bridge into Cape May. It’s a locals’ destination with a down-to-earth feel, extensive menu and extremely friendly staff. If I was a local, I could easily see myself making my stop at Lucky Bones a weekly ritual after a hard day of work. What would a Victorian seaside town be without a Victorian tea party? Sound a little corny? I beg to differ. An afternoon sipping tea (iced tea is available) while enjoying course after course of bite-size delicacies can be the perfect remedy to distress from the day-to-day grind. 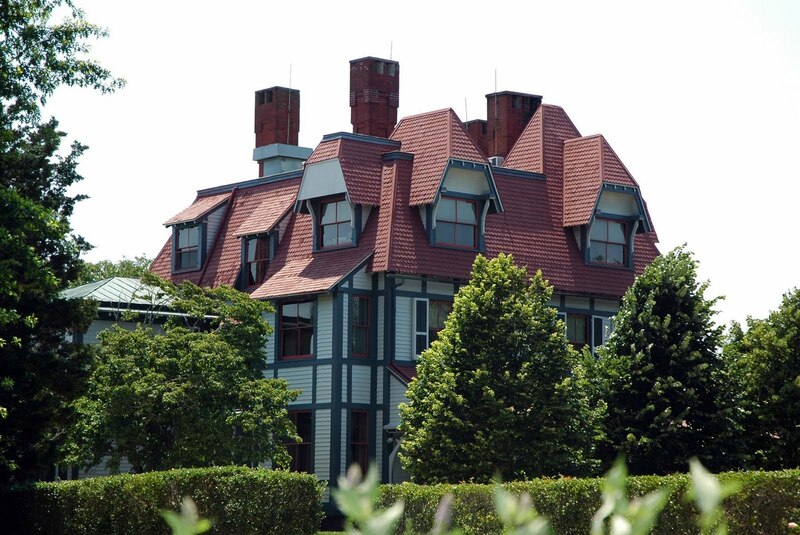 Also worth mentioning, is the tour of the Emlem Physick Estate, on the same property as the Carriage House. The Physick Estate is basically a house tour of a true Victorian mansion. This tour takes you through the daily life of a well-to-do Victorian family as well as their servants, all while touring a gorgeous Victorian home. The Ebbitt Room was the unfortunate experience of the trip. The food was good but not great, and the menu was confusing, as was the staff. This was a rare occasion where I regretted opting for the tasting menu with paired wines. The wines by the glass left much to be desired and the timing of the courses was horrible. It’s sad that this was one of my favorites from the previous year’s trip. I may give them another chance in the future, but for the first time visitor to Cape May, there are so many great restaurants to explore, and so I'd stay away from the Ebbitt Room for a while. This is one place where I didn’t want to bring my own bottle. Word on the street was that Washington Inn had a great wine list, but what they didn’t explain is that they also had a cellar full of gems that were moderately priced. This night, I bought a bottle off the list, a 2000 Monsanto Chianti Classico, Il Poggio. A bottle that that was marked up to only $20 above street value. As for the food, well, I didn’t go in expecting the best since it seemed like an after thought behind the wine list, but the food was incredible. Or maybe that’s not even saying enough. Basically, I went to the Washington Inn expecting a good meal, but what I left with was the best meal I’d had while in Cape May. Anyone who follows my work knows that I find crab cakes to be one of the best representations of a restaurant’s quality. I find it to be a standard to which I can judge the commitment to quality, freshness and imagination. The Washington Inn succeeded on every level with a perfectly fresh, crisp and seasoned example. Add to that the absolutely amazing red pepper cream sauce that adorned the plate and you have a dish that screamed indulgence. The pork chop, which was cooked in a wood-burning stove, was perfectly seasoned with a crispy slice of bacon, polenta, sauté spinach and a rich, smoky sauce beneath. I don’t ever remember having pork from a wood stove done this well. It was all at once succulent, smoky, salty and sweet, and with a sprig of rosemary that truly drove my senses to the brink of satisfaction. The grilled fillet with sweet onions, asparagus, and blue cheese was outstanding. This dish was such a delight with its smoky sweet aromas that were brought home with a whiff of fresh sage. It was silky smooth on the palate with that melt-in-your-mouth character that a perfectly medium rare can provide you with. The blue cheese gave a total woodsy funk and a bit of sour bite to the smoky sweetness. This plate made it to my top five of steaks I’ve ever eaten. 2000 Castello di Monsanto Chianti Classico Riserva Il Poggio - This showed cherry, saw dust and animal musk with potpourri and cinnamon, crushed fall leaves and a hint of olive on the nose. The palate was just as interesting as the nose, as flavors of strawberry, dried cherry, clove and wood pencil washed across it. All of this was kept lively and fresh by a vibrant acidity, which led to a long red fruit finish with silky tannin. This wine is drinking beautifully now and, although I don’t see this as being an Il poggio for the ages, I’d say it has an easy decade ahead of fine drinking and possibly more. Looking to do some wine tasting? Turdo Vineyards & Winery is a husband-and-wife team run from vineyards and a tasting room built around their home. The vines are still relatively young and space restrictive; however, the passion is there and the potential for making good wine is absolute. I was so pleasantly surprised to find some of my favorite Italian varietals being grown so close to home. Turdo is absolutely worth a visit and the tasting is quite enjoyable. 2008 Turdo Vineyards Pinot Noir Turis – The nose showed chalk, green stems and red fruit with a bit of a medicinal aroma. On the palate, I found sour raspberry, young strawberries and a clean, fresh finish. 2008 Turdo Persara (blend of cabernet, merlot, syrah and sangiovese)– The nose showed dark fruits, some blackberry and undergrowth. On the palate, this showed blackberries with citrus rind and cinnamon with a full, yet fresh performance. The finish continued with blackberry and citrus. 2009 Turdo Vineyards Barbera Turis – This showed a vibrant red color in the glass with aromas of cherry and underbrush. On the palate, I found big red fruits and fresh acidity. However, the finish was marked by a metallic aftertaste. It's easy going, unpretentious and would have rated higher if not for the finish. 2008 Turdo Vineyards Sangiovese Turis – An interesting nose of strawberry, cedar and underbrush. The palate showed a soft full body with cherry fruit and new leather, but the finish is quite dry and revealed this wine’s tannic structure. I'm interested to see what a year in my cellar might do to it. 2008 Turdo Vineyards Nebbiolo Turis - This showed red fruit and spice on the nose. On the palate, I found strawberry, blueberry and some cedar on a full-bodied frame, yet the wine managed to stay lively due to a well-balanced dose of acidity. The finish was of medium length with blackberry showing. Also be sure to visit: Cape May Whale Watch for an amazing cruise into the Atlantic in search of whales and dolphins... but bring your sea legs. If I had to choose one winery? Recently, I was involved in a discussion amongst collectors that really made me think. 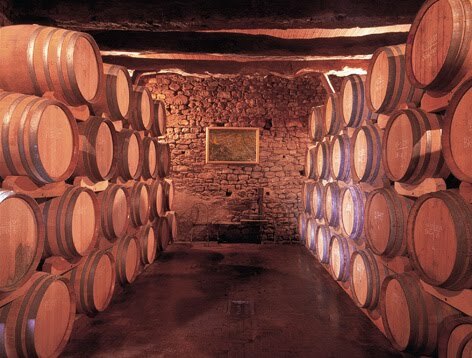 If you could have the portfolio of one winery in your cellar, and nothing else, which would it be? Most people first thought of that prized bottle that they hold on a pedestal and others were quick to answer a winery with a portfolio of wines that are great but all very similar. I answered, Vietti. Why? Because with five years of serious wine collecting under my belt, I can think of no other winery with such a high level of quality and vast selection as Vietti (with Ridge vineyards as my runner up). What truly started me on the road to collecting wine with the intention of cellaring and enjoying throughout my life was a Vietti wine, namely the Barolo Rocche. It was “that” bottle, the one that convinces you that a wine can cost $100 and be worth every penny and also the wine that shows the overwhelming positives of buying a wine at release and cellaring it to mature perfection. Don’t misinterpret me, Vietti is not just about $100 bottles of Barolo. 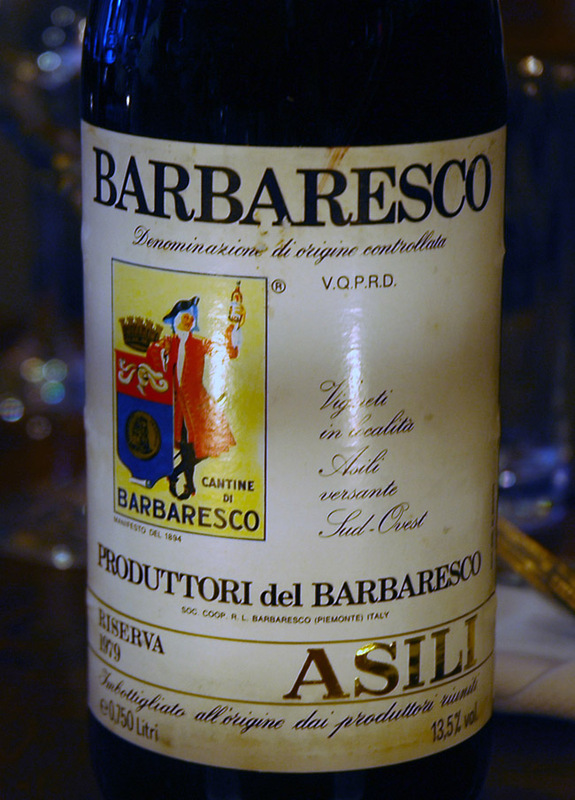 Even I would get sick of drinking Barolo every night of my life… well, maybe not. The fact is that Vietti is a producer of some of the best quality-to-price ratio wines coming out of Piedmont, Italy today. With an entry level, yet absolutely stunning Barbera Tre vigne and a fresh and bubbly Moscato d’Asti under $15, they fill the any day nitch. The Roero Arneis is a versatile, floral and mineral driven wine that can satisfy your thirst for both an unassuming as well as a thought provoking white wine. The extremely affordable Nebbiolo Perbacco is practically an entry level Barolo in all but name. In fact, Vietti has a wine for just about any palate and any occasion. Their upper tier Barolo and Barbaresco are seductive and nuanced with the potential to age or be enjoyed young. And then, of course, there are the Barolos. First, the affordable, blended Castiglione, which receives fruit from a number of esteemed vineyards and, at an average cost of $45, is a serious value. 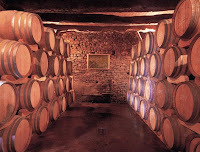 Then, a set of unique, single vineyard bottlings, which are each, tailored to fit any preference of Barolo, whether it be the traditional and finessed Rocche or the oaky and rich Lazzarito. Can you tell I'm smitten? Well, it’s all that and more. If you know Vietti, I’m sure you agree, and if you don’t, then I suggest you seek them out. Because whether you have a ten bottle capacity wine fridge in your kitchen or a 10,000 bottle cellar you call home, these are wines that belong in everyone’s collection. I’ve assembled my most recent notes on some Vietti wines I have in my cellar. Each is worth seeking out and please keep my scoring system in mind. Where many wine publications have submitted to the idea that great wine should always be 90+ points, I find that system flawed and leaving little room for the definition of great wine. In my book an 87 is a pretty good score and a 90+ is when you start getting into the truly stunning examples. 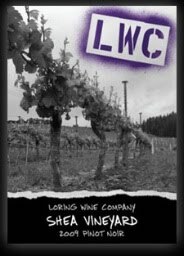 If this article has really peaked you interest in this amazing winery, I strongly urge you to check out their website. 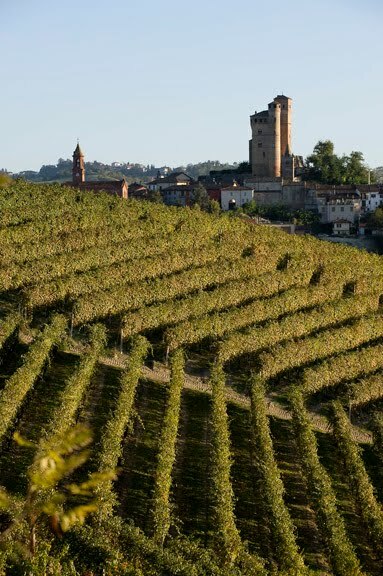 Vietti is a family run business that can trace its roots back to the 19th century, Their website is an excellent resource for information on the family, it’s wines and even some great Piedmont recipes. Check it out here!